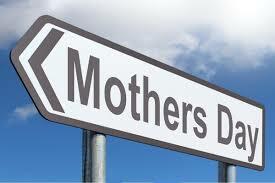 One of the hardest days for stepmoms seems to be Mother’s Day. It’s quite understandable. Many stepmoms care take care of their stepkids. They cook for them, clean after them, haul them back and forth to school, etc. More often than not, the stepmom does or at least feels they do most of the things for their stepkids that a bio mother does. Unfortunately, they often feel unappreciated. As a result, holidays tend to exemplify this feeling, especially Mother’s Day. Even if the stepkid doesn’t acknowledge the stepmom on Mother’s Day, the stepmom may expect their significant other to. Here’s how to handle Mother’s Day. STOP! Do not let a Hallmark day make you feel like crap. Quit expecting your significant other to buy you things or acknowledge you as a mom on Mother’s Day. You aren’t the stepkids mom, you are your significant others partner. As a partner, you support him and help him, but that doesn’t make you a parent in the stepkid’s eyes or even his eyes. It does, however, make you an awesome significant other! I know you do a lot for the stepkids and feel you should be appreciated. I get it! Not being recognized on Mother’s Day can make you feel as if you are not loved. Don’t allow yourself to think that crap, because that is not true! If you aren’t a bio mom and need to be recognized on Mother’s Day, take yourself to get a manicure, buy yourself some flowers, or buy yourself a cake. Don’t rely on others to make you happy. I am a bio mom and a stepmom. Last year my husband told my son he would take him shopping to get me something for Mother’s Day. My son responded with “Nah, that’s ok.” Truth be known, my son didn’t want to stop playing his computer game to have to go shopping. Yeah, my own son! My husband still bought me a gift even though we don’t have kids together. He may have done it because he felt bad that my own kid didn’t care to go pick out something. Years ago, my son doing this would have really hurt my feelings. Thankfully, I have come a long way and now I just look at it as something I can give him a hard time about for the rest of my life! I’m kidding, kinda. We still laugh about it. No, I didn’t take it as my son doesn’t love me, I know he does. He tells me he loves me every day or almost every day. That’s what matters most. Not to say I won’t go buy myself a Hobby Lobby gift card this year and give it to myself from him, but you know, we do what we need to. I will make sure to thank him too! I learned long ago to create my own happiness! Create your own happiness! You are awesome and don’t need anyone to give you a Hallmark card to tell you that!